Most days I really love working. I really do. I walk into work and leave my family life at home. I enjoy what I do, I have a nice office, I get to meet new and interesting people every day, my colleagues are so easy to work with and I get to be creative and innovative. Then there are days like last Tuesday when it just feels not worth it. 7:58am: I never learn from my mistakes. Chloe- “Where’s my shoes?” Me- “Where did you leave them?” Chloe- “I left them there but they’re not there now………oh wait I found one”. Our morning routine is literally a re-run of the same conversation each morning. Chloe; dressed, hair done, teeth brushed, coat, scarf, & gloves on, lunch in bag……the other shoe, yes! And she’s ready at the front door ready for Niall to drop to her after-school for breakfast and school drop. One down! 5 minutes to get out the door before rush hour becomes more like ‘nobody’s going anywhere’ hour! 20 minutes later Sean is still insisting that he wants to stay at home and not go to creche. He doesn’t like his socks I’ve picked out for him. “I don’t want the black ones, I want the dinosaurs ones”. 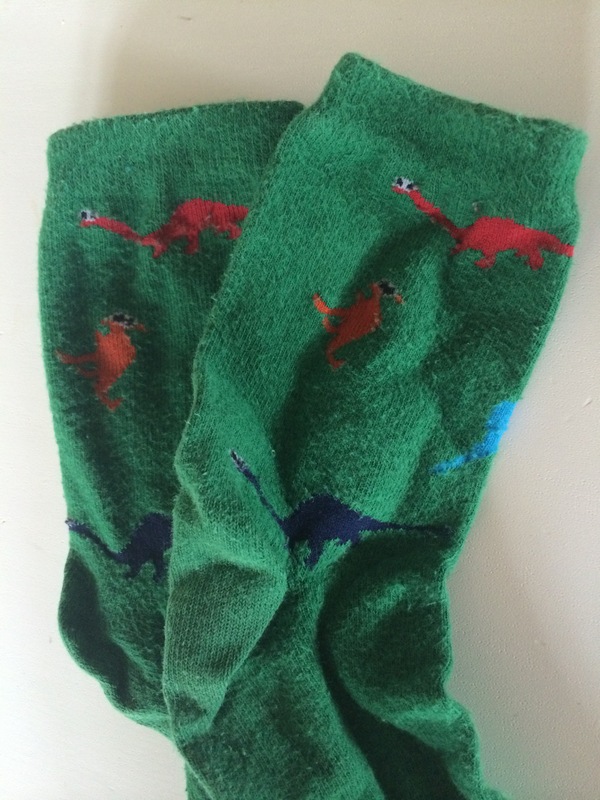 Dinosaur socks are very important! He doesn’t like his trousers. “Those trousers are baby trousers!” “Sean, the witches are going to come and get you if you don’t get dressed and go to school now.” The lies I have to tell him to get him out the door are pretty mean but also it amazes me how they work. Parenting experts and child psychologists please look away now! We have a bedtime routine that consists of the “witching hour” whereby if he’s not asleep by a certain time the witches will come out. Hey, don’t judge me. 8:25am: Finally leaving the house; phone, money, keys (my daily mantra) and Sean wants to cycle to creche. We live approximately 60 seconds (walking) from his creche so I say ‘ok’, sure how long could it take, right? It can take a LOT longer than 60 seconds for a three year old to cycle apparently. 8:40am: Finally leaving the creche. Sean has a routine whereby he has to wave to me at every window exiting the creche, there are 5 windows on the way out plus you have to stop for an extra ‘blow kisses’ x 10 times at the last window. I blame myself for this, once I happened to mention to him after creche one day that he didn’t wave to me that morning. So now he waves. I fling drop the bike back home, grab some de-icer and spend 5 minutes de-icing the car of ice and SNOW (Snow in March!?) Finally on the road, Dublin City Council’s traffic station on, turn out of the estate and………. I’m actually going Southbound but you get the point, it’s a mental morning for traffic . Every weekday morning without fail there is an accident on the M50. And when there is an accident it backs up traffic for hours afterwards (make mental note to find new backroad route to work). 9:00am: Phone call from Niall to say someone has crashed into him. He’s ok but the car wasn’t so lucky, looks like a good bit of damage. He’ll manage to get to work in it today anyway. 9:50am: Almost there! Where is everyone going at 9.50am? Do they all have late start times or are they all just late today too? Maybe they’re all going shopping, cue daydream about a life where I can go shopping at 10am on a Tuesday, then maybe brunch………light has turned green, gotta go. 10:10am: Finally reach the office, manage to get literally the last car parking space. Yay, something good! This actually lifts my mood somewhat and I finally plop down at my desk. 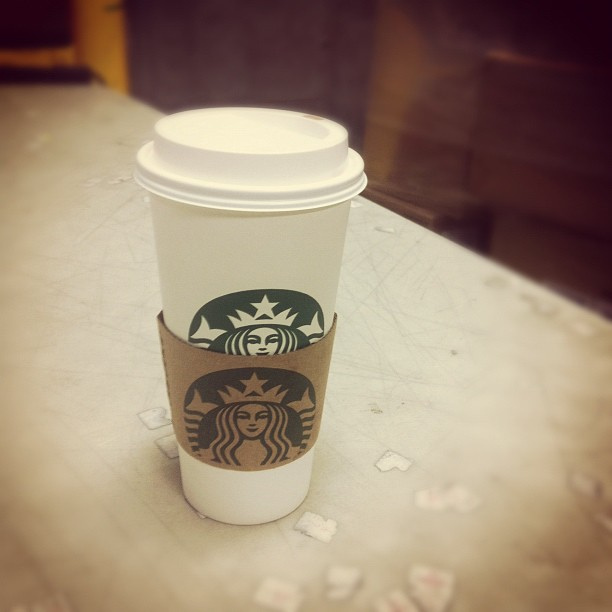 Countdown to 11am break at which point I practically sprint to get one of these. 3:00pm: 3pm slump indeed. Click onto the website Do Nothing for Two Minutes , sit back, stick the earphones in and…… ……last one minute. Yeah I’m not good at relaxing, instead google mindfulness courses. Then flick through all my social accounts and a sneaky look at TheDailyMail.com. 4:45pm: It’s been a long day, took a quick lunch to make up for extreme lateness. Now it’s time to pack up and venture into the evening rush hour traffic. Run to the car, radio on and (keeping fingers & toes crossed it’s all clear) first thing hear that there’s a “crash on the M50 northbound at junction blah blah blah…..”. http://i.giphy.com/rOXJWsl85wVHy.gif 5:30pm: Stuck on M50, nobody is moving. Regardless, there are still those drivers who think that they can weave their way in an out of the lanes and somehow mange to get to the top of the backlog. You know the type, they usually drive Audis. I ring Niall who is finishing up work about now, he might make it before the 6pm creche deadline. 5:44pm: Pass annoying Audi driver who had maneuvered his way in front of me 10 minutes ago. Smile. Resist urge to turn and look at him while smiling. 6:10pm: Neither of us make it to the creches on time but Niall’s mum to the rescue and gets them both. Thank god for mums! 10:30pm: Dinner over, kids bathed and in bed, kitchen cleaned. Sit down with a cup of tea, open laptop to catch up on the emails that didn’t get time to tend to that day. Also have to do some work for college. Straining eyes to stay awake. Need to go to bed, rest can wait until tomorrow. Days like these I wonder if there’s an alternative that’s better. Ok, most of my complaints are traffic related but it just stresses me out so much. It’s always rushing, running and time checking and never really feeling like you’ve done enough. I’ll have to think about it another time as too tired to think now and have to be up early to start all over again. Night.